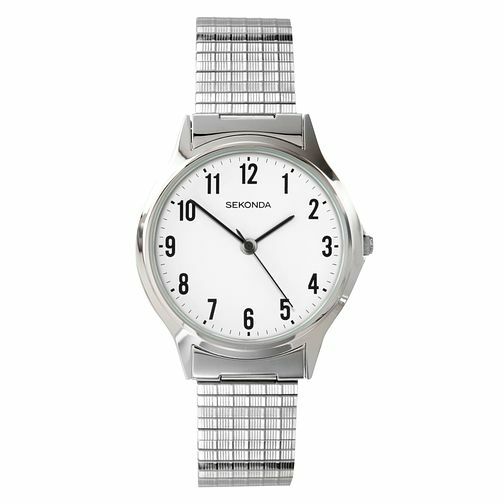 Get ease of use and classic styling with this Sekonda men's watch. The polished stainless steel bracelet and casing is perfectly complimented by the white dial, which features bold, black Arabic numeral hour markers and black time hands, making this watch easy to read in all conditions. Suited to all occasions and all styles, this men's timepiece will prove to be your new favourite accessory.